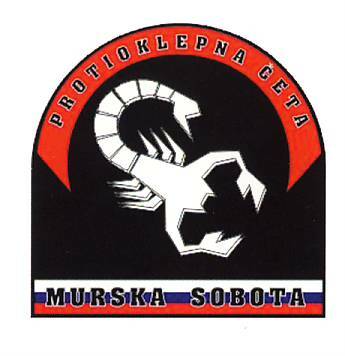 The coat of the arms depicts the NATO tac­ti­cal sym­bol for a brigade on a gold­en-edged shield with a black back­ground. Beneath are ele­ments rep­re­sent­ing the brigade’s units: infantry, artillery and armor. 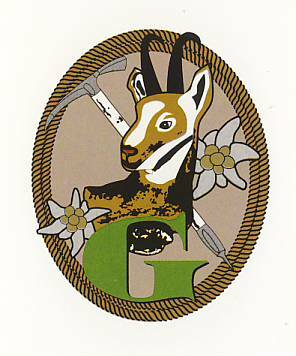 The brigade was estab­lished in 1992 as a HQ respon­si­ble for units of the reserve com­po­nent. It pro­vides ele­ments of com­bat and com­bat ser­vice sup­port to task capa­bil­i­ties of the main SAF units, bat­tal­ion, or bat­tal­ion tac­ti­cal groups for allied oper­a­tions and the brigade for oper­a­tion in Slove­nia. Com­bat sup­port is pro­vid­ed with sup­port units, such as the artillery and the armored bat­tal­ion and the anti-armor com­pa­ny, and com­bat ser­vice sup­port is pro­vid­ed with NBC and engi­neer bat­tal­ions. The brigade, is the largest of the Sloven­ian Armed Forces, includes infantry, armor, engi­neers, artillery, NBC defense, anti-armor and a logis­tic sup­port unit. The 72nd HQ Logis­tic Com­pa­ny The unit is designed to sup­port it´s HQ and to pro­vide logis­tic sup­port for the 72nd Brigade HQ, and is the basis for the estab­lish­ment of the nation­al sup­port ele­ment. Its tasks are: trans­port­ing mate­r­i­al and per­son­nel; main­tain­ing mate­r­i­al at lev­el I; sup­ply­ing mate­r­i­al of Class I to IV, Mate­r­i­al and ware­house man­age­ment; main­tain­ing sig­nals; col­lect­ing data; cal­cu­lat­ing NBC dan­gers; car­ry­ing out their own train­ing. 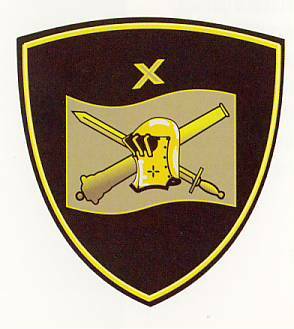 The 76th Anti-armour Com­pa­ny The unit, estab­lished in Sep­tem­ber 1992 as the 76th Anti-armor Division/Battalion, car­ried out train­ing of con­script sol­diers for the duty of PORS-2 anti-armor mis­sile sys­tem oper­a­tors. In July 2004, bat­tal­ion was trans­formed into a com­pa­ny, designed to rein­force the maneu­ver unit dur­ing main oper­a­tions of ene­my armored units. It can oper­ate as a whole dur­ing main oper­a­tions of the brigade or as it reserved tasked with destroy­ing ene­my tanks and oth­er armored vehi­cles as well as bunkers and strong­holds. The 132nd Moun­tain Bat­tal­ion The cen­ter­piece of the unit´s coat of arms is the chamois, rep­re­sent­ing dex­ter­i­ty and endurance while mov­ing in the moun­tain areas. Oth­er ele­ments are the edel­weiss, a typ­i­cal flower of the Sloven­ian Alpine world, the ice axe as an impor­tant part of moun­taineer­ing equip­ment, and the green let­ter G, rep­re­sent­ing Goren­js­ka (region in Slove­nia), and the Sloven­ian words for moun­tains, “gore”, and moun­taineer­ing, “gorništ­vo”. The moun­tain bat­tal­ion was estab­lished in June 1992 as the 1st Bat­tal­ion of the 32nd Alpine Brigade and since May 2004 the bat­tal­ion is part of the 72nd Brigade. Its tasks are: pro­vid­ing com­bat readi­ness and readi­ness for con­duct­ing pro­tec­tion and dis­as­ter relief assign­ments; car­ry­ing out train­ing and inter­na­tion­al oblig­a­tions. The 45th Armoured Bat­tal­ion The coat of arms depicts a tri­an­gu­lar ear­ly goth­ic shield, which is divid­ed in two tri­an­gu­lar par­ti­tions. 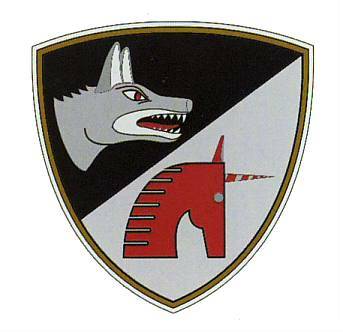 The upper part depicts a wolf´s head, in two shades of grey, col­ored black and red and turned to the left flank of the shield. The low­er part depicts the head of com­mon heraldic ani­mal fac­ing the left side of the shield – a uni­corn in white col­or, in com­bi­na­tion with gold and grey. The new sym­bol, thus, com­bines both sym­bols of the for­mer two inde­pen­dent units, with unchanged iden­ti­ty. 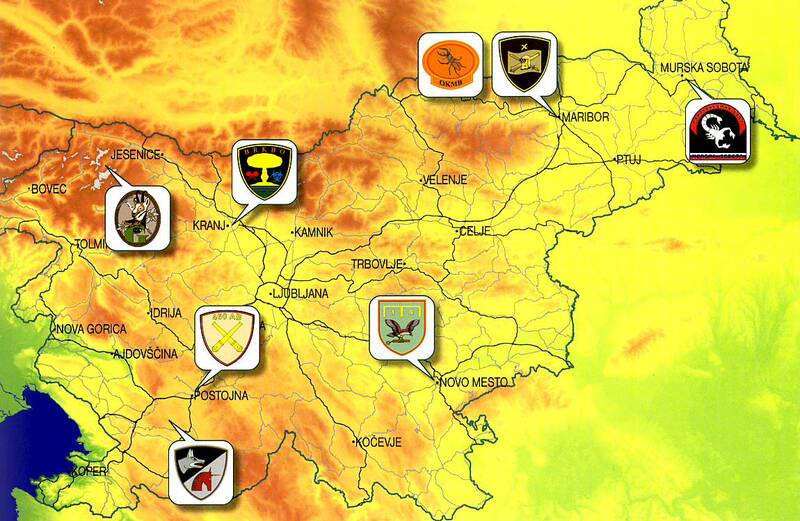 The bat­tal­ion was estab­lished in Octo­ber 2002 and its main task is the com­bat against armored units. The 74th Amoured Bat­tal­ion The coat of arms depicts a stag bee­tle (Lucanus cervus), Europe´s largest bee­tle. 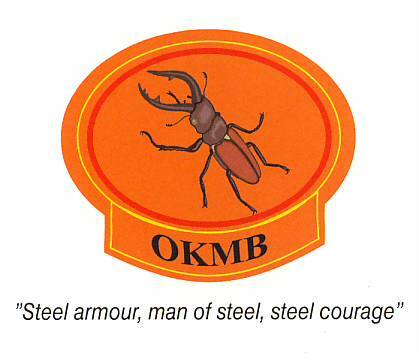 Armored units are high­ly mobile, pro­vide effec­tive pro­tec­tion and high fire­pow­er, thus , the stag bee­tle is the appro­pri­ate sym­bol to rep­re­sent the 74th Armoured Bat­tal­lion. The stag bee­tle is a giant among bee­tles, has three pairs of legs, a hard pro­tec­tive amour and fear­some antlers, which are almost like weapons, intim­i­dat­ing his ene­mies. The struc­ture and weapons of the bat­tal­ion enables itself to car­ry out defen­sive and offen­sive com­bat oper­a­tions, Coun­ter­at­tacks and rapid reac­tions in ene­my avenues of approach. The 460th Artillery Bat­tal­ion The coat of arms of the unit depicts two gun bar­rels crossed on a shield, sug­gest­ing artillery units in armed forces all around the world. Its main weapon is the 155/45 TN gun-how­itzer. 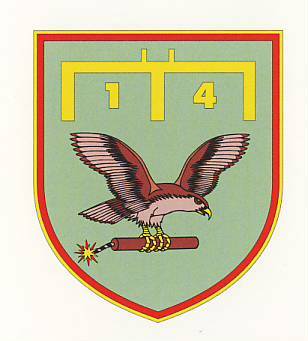 The 14th Engi­neer Bat­tal­ion The shield depicts the tac­ti­cal sym­bol for engi­neers and strength of the bat­tal­ion, sup­ple­ment­ed by two num­bers “1” and “4”, mak­ing up the numer­i­cal des­ig­na­tion of the 14th Engi­neer Bat­tal­ion. In the cen­ter­piece coat of arms is a hawk, a bird of prey, sug­gest­ing a fight­ing spir­it, pow­er and courage. The unit´s qual­i­fi­ca­tion for work­ing with explo­sive ordi­nance is sym­bol­ized by a lit burster in the claws of the hawk. Engi­neer units are trained to set-up all types of mine­fields, con­struct and strength­en rein­forc­ing obsta­cles, destroy parts of road and all types of build­ing along them, secure and pro­vide engi­neer recon­nais­sance, for­ti­fi­ca­tion of com­mand posts, cross­ing water obsta­cles, repair of destroyed parts of roads in com­bat zones. 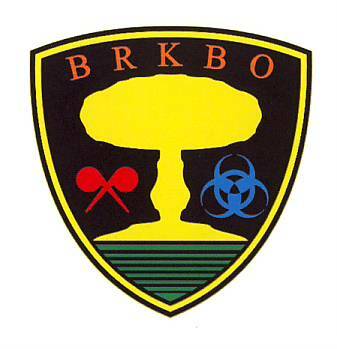 The 18th Nuclear, Bio­log­i­cal and Chem­i­cal (NBC) Defence Bat­tal­ion The cen­ter­piece of the unit´s coat of arms is a yel­low mush­room cloud, it is depict­ed in the mid­dle of a goth­ic tri­an­gu­lar shield and has an inner yel­low bor­der and black bor­der on the out­side. The mush­room cloud is placed on a green striped ground. The red sym­bol on the left side rep­re­sents the sign for chem­i­cal dan­gers, the blue sign on the right sug­gest bio­log­i­cal threats. The bat­tal­ion was estab­lished in May 1992 and pro­vides capa­bil­i­ties for nuclear, chem­i­cal and bio­log­i­cal detec­tion and decon­t­a­m­i­na­tion of units.